Celebrity stylist and award winning TV favourite, Gok Wan is delighted to announce that he will be getting up close and personal with his fans at a series of glamorous events this spring and due to popular demand, the events will now feature fashion and styling for every occasion, as well as wedding attire for brides to be. Gok will be on hand to deliver his much sought after advice in Cardiff, Leeds, Worcester, Northumberland, Nottingham and Sheffield. The Spring/ Summer 2017 Fashion Brunch Clubs are brand new events hosted by the man himself and will offer audiences a fun day out as well as fashion tips, a seasonal trend demo and all the information every woman needs to dress well. 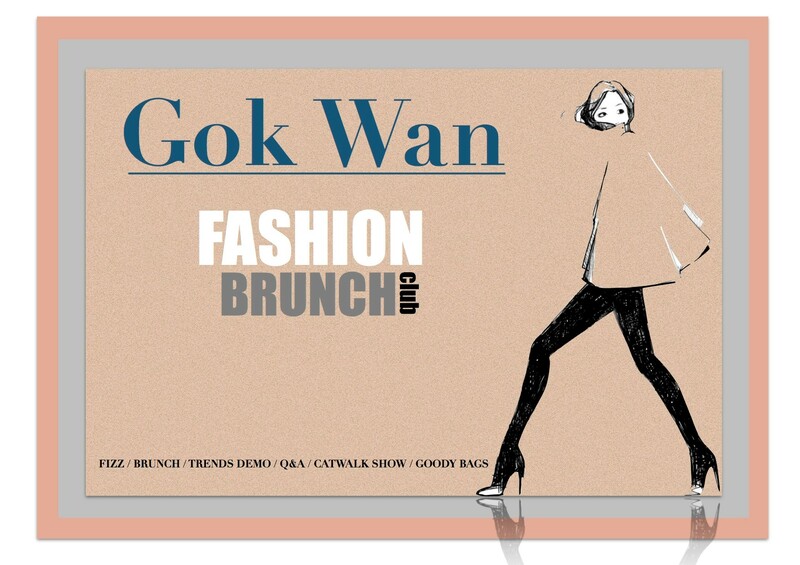 After a delicious brunch, Gok will present an exciting catwalk show packed with fabulous outfits and the audience can also benefit from Gok’s informative body shape master class that will teach women how to dress and style according to their individual shape and size. Gok will be showcasing the very best of locally sourced fashion, British high street favourites and everything in between for every budget and every shape. Fashion, style, glamour and fizz…what’s not to love? “I am absolutely thrilled to bring my Fashion Brunch Clubs to so many great places this year and hope that people will take the chance to get all my fashion tips in a more intimate setting. There will be something for everyone’s taste.